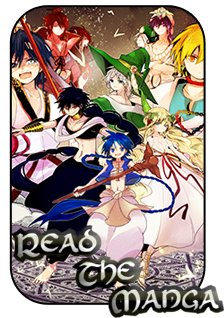 Well I figured since we are all on a Magi site we all must enjoy the show/manga but the question right now who are your top favorite characters from Magi/Adventures of Sinbad? Judal is by far my favorite character in the manga/show. We have only seen him a few times but each time we do he is always cooking up some evil plot and just enjoying life. He is such a mysterious character that it is hard to really figure out what he is up to. I personally think he does not really have any affiliation and just goes where power is. I am excited to see what he will do now that there is now 3 good magi to the only bad one. It seems that he has been working during the time skip to gain some new powers maybe he will even be as strong as Aladdin is now. I am really interested to find out how him and Sinbad first met in the Adventures to Sinbad Manga! How can you not like Sinbad? Just like Judal he is shrouded in mystery. It seems that he is a good guy but in the recent magna I am starting to have my doubts that he really is all good as he says he is. I think he is generally good but ruthless enough to kill others to get what he wants. We all know he wants a Magi for his country so that it can be a powerhouse like Reim and the Kou Empire and he is constantly pressuring Aladdin to join but I think Sinbad alone would be enough to handle any problem that comes his way, except maybe another black spot creature. I am glad we are seeing his djinn in the AoS manga because I am really curious to what his powers extent are plus how he is truly already fallen a bit into depravity like they state in the manga/show. Okay now I was not a fan of him at first but his backstory is interesting and we really do not know it all yet. His mother is the most evil person in the world and at the moment maybe the strongest person out there. Now he has taken a turn to the dark side it seems since him and Judal have become best buddies plus Zagan’s powers seem to have grown by leaps and bounds. We all know that he wants to rule the Empire or something else equally as crazy but will he be able to? Maybe he even captured a second dungeon since we have last seen him wouldn’t that be crazy! But I think it is totally possible, Judal has been known to summon them to help those who he wants to gain power plus Hakuryuu pretty much mastered Zagan’s basic functions in a short amount of time, faster than Sinbad was able to master Baal and way faster than Alibbaba was able to master Amon. I love all the characters in Magi(Except Gyokuen and her cult buddies >.>) so picking a favorite is hard. But I guess I need to split it between my favorite "Good guy" and "Bad guy" even if my choice for the latter isn't all that bad in the end. He's always putting a smile on my face between his goofy antics and his feel good speeches. He reminds me of an old friend who passed away and also represents a sort of ideal that I enjoy emulating in real life when I'm able to live consciously rather than letting the ego run on auto pilot as is easy to do in modern life. If Aladdin is the ideal I wish I could be, then Mogamett is the dark truth of myself I wish I could forget. I relate to him on so many levels it's honestly not even funny. I too once stopped looking at the people around me as human and built walls around myself layed thick with resentment and a sense of self superiority. That was in my early teenage years and since then I've grown up a lot, but I still have a lot of those walls and I've never quite fully gotten over the spite I feel towards the general population. If I were to ever fall into depravity I think I would walk the same path as Mogamett, so seeing him reaching absolution was a very touching scene for me making it hard to place any of the other depraved people over him. Can't help it and don't really have much of a real explanation for it, seeing as how Kouen is one of the less explored characters. Something though just has me interested and I'm eager to learn more about his backstory. In the few times since he appeared in the anime, I learned to like Judal. When the story persuaded me to begin reading the manga, I just felt that it didn't do him as much justice.